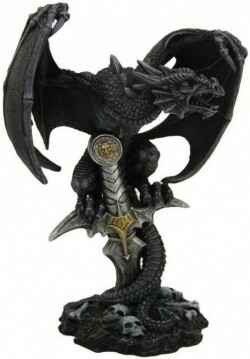 Highly detailed stone effect Dragon atop a powerful sword surrounded by skeleton remains. Made from quality solid resin for a stone statue look and feel. Nicely detailed.